Pensati per la massima protezione nei mesi invernali. Tessuto doppio per un eccellente isolamento. Piping rifrangente sul dorso per garantire ottima visibilità notturna. 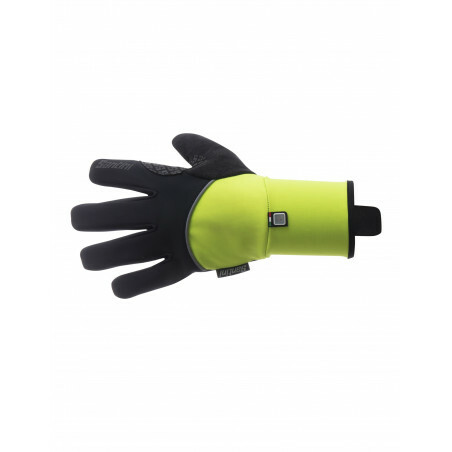 I just use it for cold and windy weather below -6C. Used in rain and at temperatures down to windy 4°C so far and they keep my hands warm and dry. Handling gear shifts is also no problem despite their thickness. The only thing to improve is their inability to work displays, no just swiping but even applying pressure: need to remove gloves for any type of smartphone, navigation or bike computer interaction. 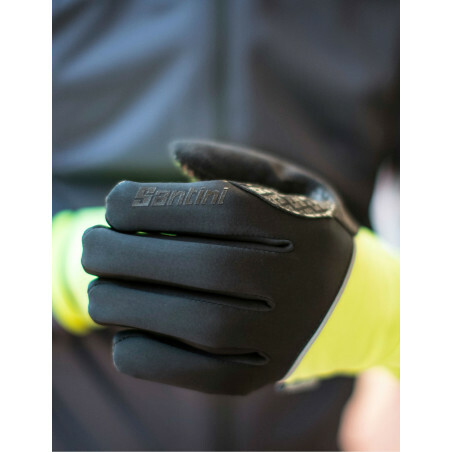 As with all Santini products I have tried over the years, the fit and finish of the gloves is excellent. 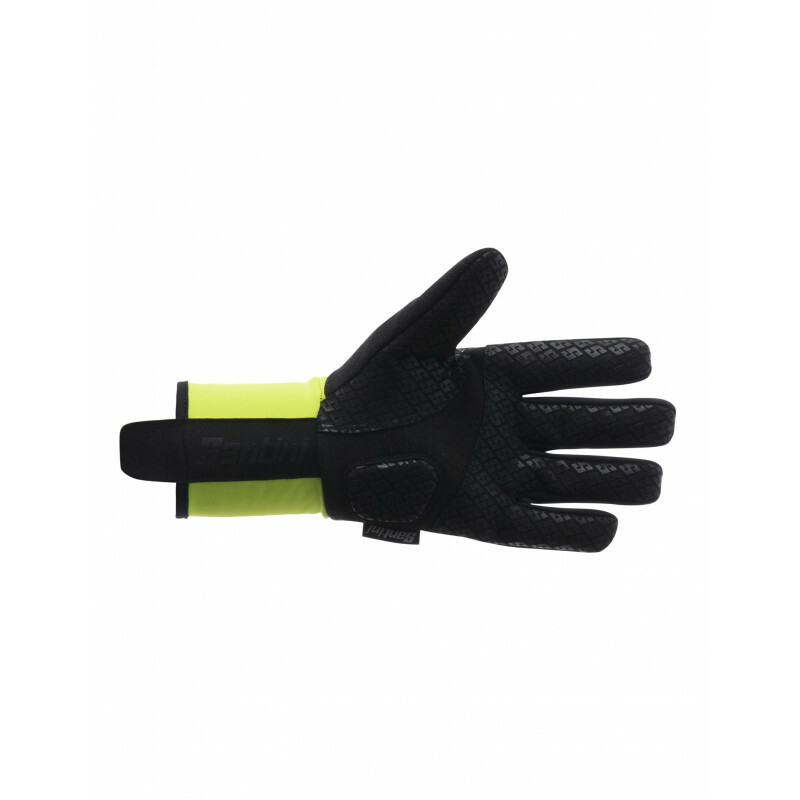 The gloves are very well insulated while having great dexterity, and the padding is sufficient while still allowing for a good grip and feel for the bars.